Fending off new and old competitors, Comcast reported strong quarterly financial results on Thursday: revenue was up 11% and profits 7%. NBCUniversal's hit movies like "Jurassic World" and "Furious 7" helped the bottom line and received shout outs from Comcast (CCV)CEO Brian Roberts. And perhaps most noteworthy is what's not in the quarterly earnings: any evidence of accelerated cord-cutting by cable subscribers. Comcast fared better than Wall Street analysts thought it would. The provider lost about 69,000 of its 22.3 million TV households, versus the average prediction of 116,000. That's an improvement from the second quarter of last year, when Comcast shed 144,000. This slow bleed is nothing new: Comcast has been losing TV subscribers, primarily due to stiff competition from providers like DirecTV and Verizon FiOS. And the second quarter is usually the weakest of the year because of moves by seasonal residents like college students. So for Comcast, losing only 69,000 households was something to cheer. "This was the best second quarter video customer results we've had in nine years," Roberts said in a statement. Comcast now has more broadband households than cable TV households -- a turning point that observers have seen coming for years, but officially showed up in the company's data for the first time in the second quarter of the year. The company gained 180,000 new broadband customers, ending the quarter with 22.5 million. Analysts will be watching closely for signs of cord-cutting as other TV providers also report quarterly earnings. 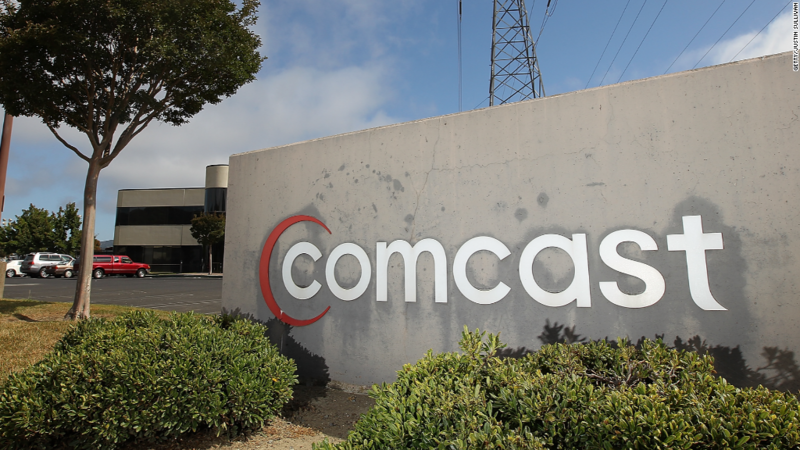 At the same time, incumbents like Comcast are trying to stay on top by introducing new products like Stream, a small and relatively cheap bundle of TV channels that are available via the Internet. In the first month of Comcast's second quarter, it abandoned its bid to acquire Time Warner Cable (TWC), the country's No. 2 cable provider. There was a certain swagger to the earnings announcement on Wednesday, showing a company that is in healthy shape despite the failed merger bid. While its biggest business is broadband and cable distribution, Comcast's content arm, NBCUniversal, had a standout quarter, with 20% revenue growth. Comcast is crediting the movies "Furious 7," "Jurassic World" and "Pitch Perfect 2," which helped NBC's film studio make more than $2.3 billion in the quarter. "Universal's film studio and theme parks may never be the center of gravity at a company as large as Comcast, but, well... if you'll forgive the pun, for now at least, the Universal tale is wagging the dog," MoffettNathanson senior analyst Craig Moffett wrote Wednesday morning. "Universal's movie studio is in the midst of an epic hot streak."